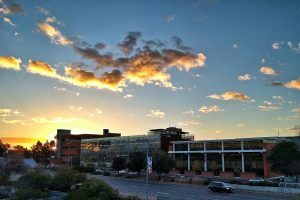 Sunrise over the Architecture Building on The University of Arizona campus. 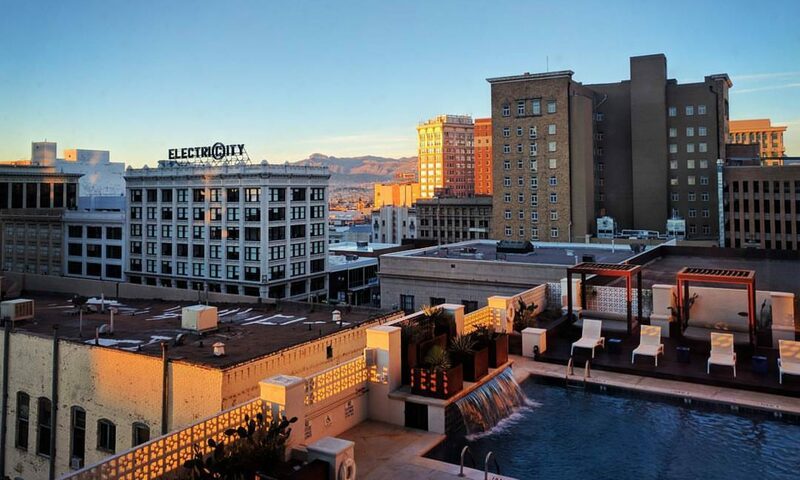 The University of Arizona has leading researchers and degree programs in the areas of sustainability, climate change, and planning and design of the built environment. For current or prospective students interested in the intersection of climate change science and the planning and design of the built environment to increase urban resilience, please feel free to contact me at ladd@email.arizona.edu for potential opportunities. I lead the Bachelor of Science in Sustainable Built Environments degree program, which may be of interest to undergraduates interested in learning to apply sustainability principles to improve the built environment at the building, landscape, and community scales. I am also a faculty member of the graduate Master of Science in Planning program, and affiliated with the PhD in Arid Lands Resource Sciences and PhD Minor in Global Change programs. Information on applying to The University of Arizona can be found here.